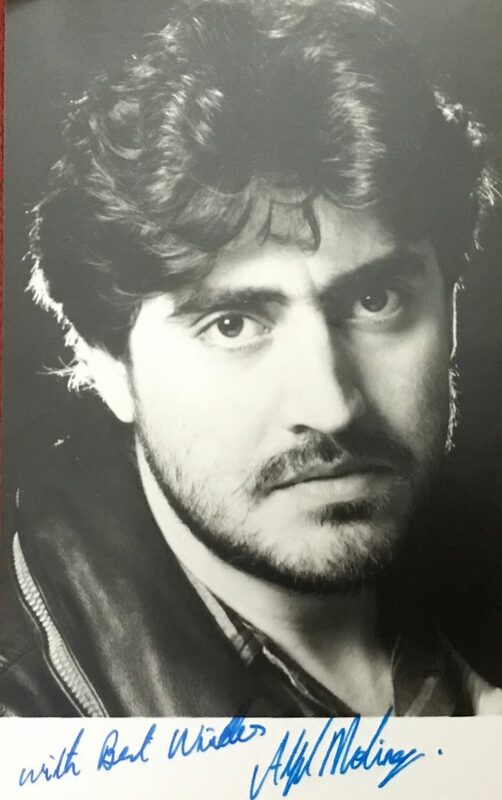 Alfred Molina was born in 1953 in London, England. His mother, Giovanna (Bonelli), was an Italian-born cook and cleaner, and his father, Esteban Molina, was a Spanish-born waiter and chauffeur. He studied at the Guildhall School of Music and Drama, London. His stage work includes two major Royal National Theatre productions, Tennessee Williams‘ “The Night of the Iguana” (as Shannon) and David Mamet‘s “Speed the Plow” (as Fox), plus a splendid performance in Yasmina Reza‘s “Art” (his Broadway debut), for which he received a Tony Award nomination in 1998. He made his film debut in Raiders of the Lost Ark (1981) and got a good part in Letter to Brezhnev (1985) (as a Soviet sailor who spends a night in Liverpool), but his movie breakthrough came two years later when he played–superbly–Kenneth Halliwell, the tragic lover of playwright Joe Orton, in Stephen Frears‘ Prick Up Your Ears (1987). He was also outstanding in Enchanted April (1991), The Perez Family (1995) (as a Cuban immigrant), Anna Karenina (1997) (as Levin) and Chocolat (2000) (as the narrow-minded mayor of a small French town circa 1950s, who tries to shut down a chocolate shop).